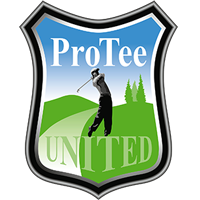 PROTEE UNITED B.V. ("PROTEE") warrants only to the original purchaser of this product from a ProTee-authorized reseller or distributor that this product will be free from defects in material and workmanship under normal use and service for one year after date of purchase. ProTee reserves the right, before having any obligation under this limited warranty, to inspect the damaged ProTee product, and all costs of shipping the ProTee product to ProTee for inspection shall be borne solely by the purchaser. In order to recover under this limited warranty, Purchaser must make claim to ProTee within 30 days of occurrence, and must present acceptable proof of original ownership (such as original receipt, warranty card registration, on-line registration, or other documentation ProTee deems acceptable) for the product. PROTEE, at its option, shall repair or replace the defective unit covered by this warranty. Please retain the dated sales receipt as evidence of the original purchaser's date of purchase. You will need it for any warranty service. In order to keep this limited warranty in effect, the product must have been handled and used as described in the instructions given verbally and/or in writing by ProTee. This limited warranty does not cover any damage due to accident, misuse, outdoor-use, abuse or negligence. This limited warranty is valid only if the product is used with the equipment specified by ProTee. Please call PROTEE for details or call PROTEE technical support. This limited warranty is non-transferable and does not apply to any purchaser who bought the product from a reseller or distributor not authorized by PROTEE, including but not limited to purchases from internet auction sites. Contact PROTEE at www.protee-united.com or at one of the technical support numbers for warranty service procedures. REPAIR OR REPLACEMENT OF THIS PRODUCT, AS PROVIDED HEREIN, IS YOUR EXCLUSIVE REMEDY. PROTEE SHALL NOT BE LIABLE FOR ANY SPECIAL, INCIDENTAL OR CONSEQUENTIAL DAMAGES, INCLUDING, BUT NOT LIMITED TO, LOST REVENUES, LOST PROFITS, LOSS OF USE OF SOFTWARE, LOSS OR RECOVERY OF DATA, RENTAL OF REPLACEMENT EQUIPMENT, DOWNTIME, DAMAGE TO PROPERTY, AND THIRD-PARTY CLAIMS, ARISING OUT OF ANY THEORY OF RECOVERY, INCLUDING WARRANTY, CONTRACT, STATUTORY OR TORT. NOTWITHSTANDING THE TERM OF ANY LIMITED WARRANTY OR ANY WARRANTY IMPLIED BY LAW, OR IN THE EVENT THAT ANY LIMITED WARRANTY FAILS OF ITS ESSENTIAL PURPOSE, IN NO EVENT WILL PROTEE'S ENTIRE LIABILITY EXCEED THE PURCHASE PRICE OF THIS PRODUCT. This warranty statement and all our offers and/or contracts of sale and/or agreements of accepting orders and/or work shall be governed by Dutch law. The applicability of the United Nations Convention on Contracts for the International Sale of Goods of 11 April 1980 is excluded explicitly. The competent court of Amsterdam shall be authorised to hear all claims instituted by or against us, this without prejudice to our right to submit disputes to another competent court if this is desired. The above does not prejudice our rights to solve disputes by means of arbitration proceedings before the International Chamber of Commerce in accordance with the Arbitration Rules of the International Chamber of Commerce by one arbiter. The place of the arbitration proceedings shall be Amsterdam, The Netherlands. The arbitration proceedings shall be conducted in the Dutch language.